"West Coast Best Coast" might've started out as state pride, but in a recent Gallup poll, it seems the mantra might be more substantial than you thought. The list was compiled based on the proportion of state residents who described their states as the "best or one of the best possible states to live." Surprisingly enough, sunny California did not make the top 10 list, and was outdone by its western neighbors. The top five states with happy residents included a cold, Western bunch, with Montana topping the list at 77 percent of residents claiming to be big fans. As one of the least populous states, it is impressive that so many of its residents felt so warmly about the northwestern tundra. In fact, the top four states are all chilly places to live, suggesting that increased sunshine is not necessarily directly correlated with increased satisfaction. Alaska (which actually tied with Montana with 77 percent satisfied), Utah, and Wyoming round out the frozen top four, and then Texas makes its appearance with its southern charm. Of course, while some claim that Texas may be classified as a western or midwestern state, native Texans, like myself, are quick to assure others that we are nothing if not from the south. Interestingly, the four states with the smallest populations, Wyoming, Vermont, North Dakota, and Alaska, all make the top 10 list. So perhaps it's the lack of voter population that's allowed for statewide loyalty and consensus. Moreover, of the top 10 states, only two are generally thought of as warm places: Texas and Hawaii, which comes in just behind Texas at number six on the list. The rest, including Minnesota, Oregon, and Vermont, are all known for their frigid winters. On the other hand, the states with the least satisfied residents tended to be New England states. Rhode Island sits at the bottom of the list, with only 18 percent of respondents calling their state the best state. New Jersey, Maryland, and Connecticut are also struggling to please their denizens. Illinois has only 19 percent of its citizens claiming it is one of the best places to live, and 25 percent saying it is, rather, the worst place to live. Rhode Island and Connecticut are apparently the second worst, with 17 percent of residents each clearly dissatisfied. Texas was voted by more of its residents as the single best place to live than any other state's residents. This may be due to low living costs, general trust in state government, and fewer complaints about state taxes. Clearly, money plays a considerable part in how happy residents are: California and New York, which contain the most expensive cities of San Francisco and New York, are nowhere on the top 10 best state list. 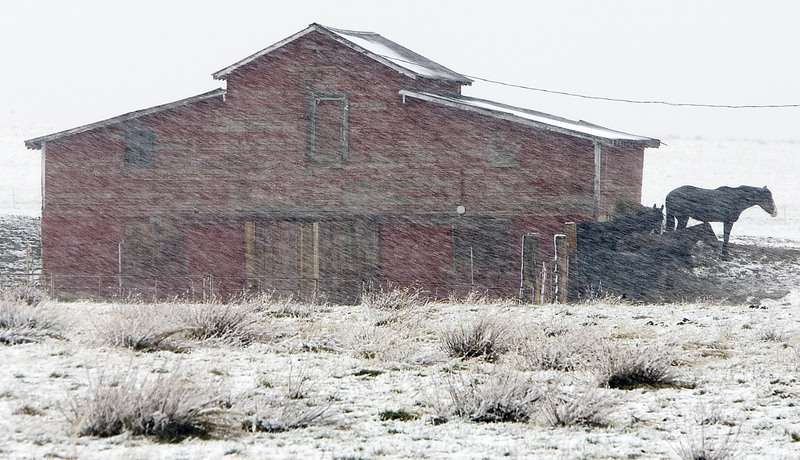 So the next time you're considering a move, you might want to pack an extra coat and take your family out to Montana.